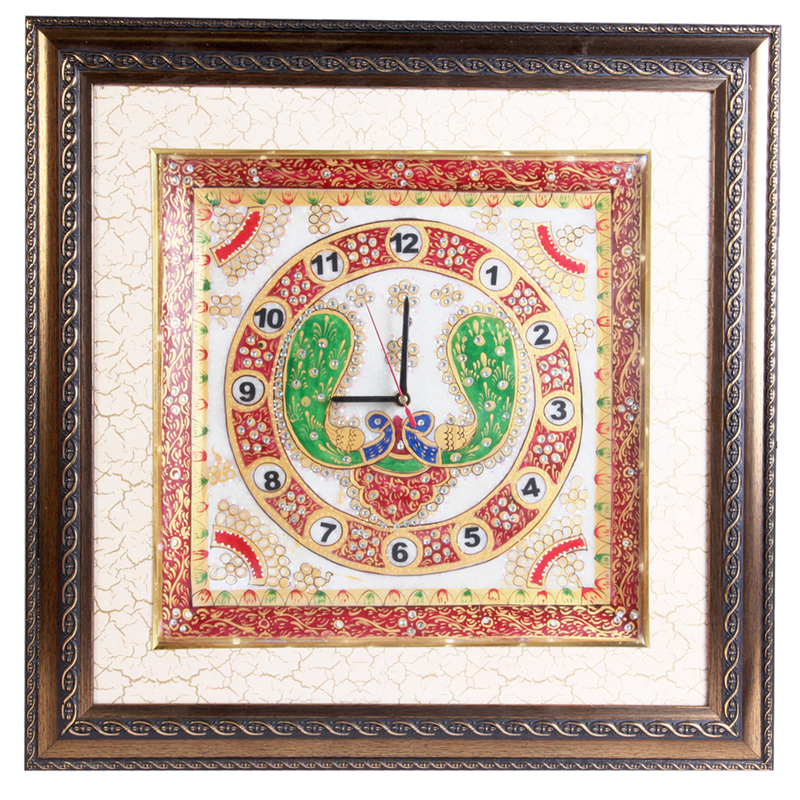 This Wooden Fame Marble Clock with Peacock Painting and LED Lighting is bound to impress all lovers of ethnic artwork with the display of a Read More..fine peacock painting at the center. 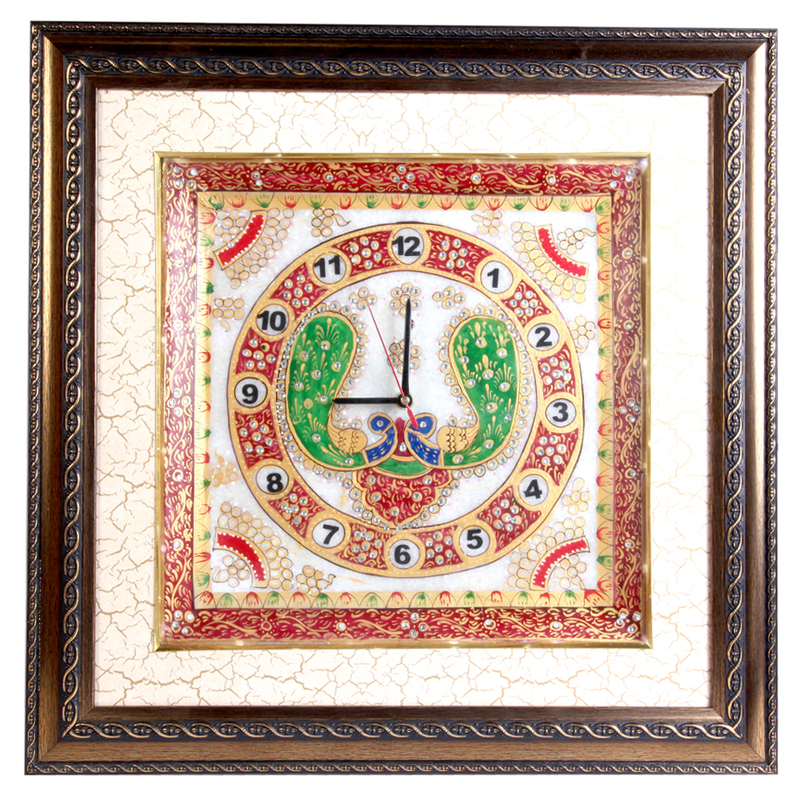 The top quality marble acts the ideal backdrop to this ethnic design work, while the premium wooden frame adds to the worth of this home décor piece. 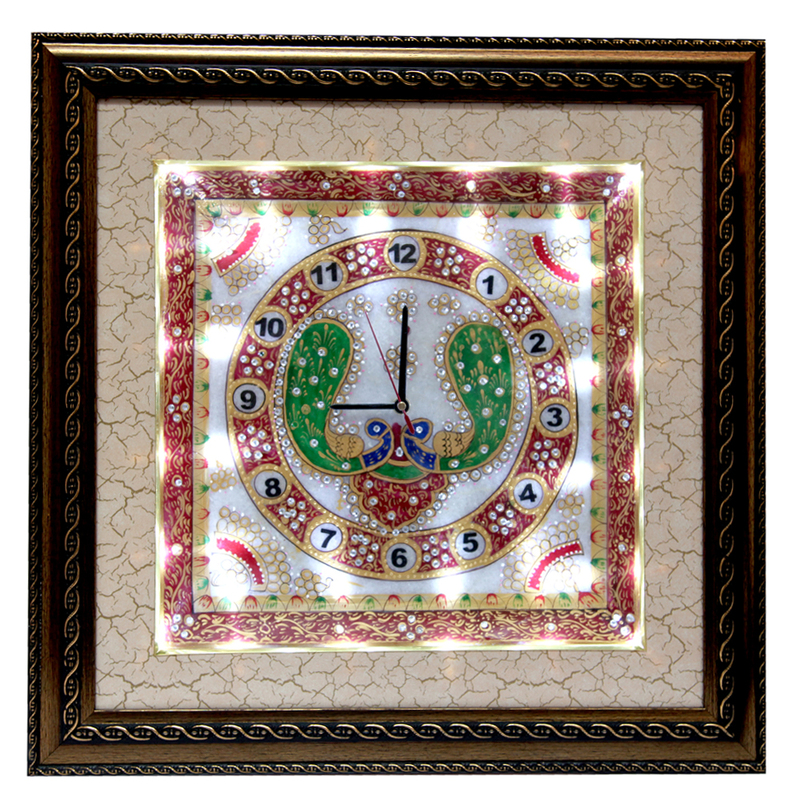 Moreover, its ability to keep time makes it highly usable, while the Led lights at the corners adds to its beauty while making it easier for everyone to tell time. Show Less..